It’s not difficult to see why James Wan landed the job of directing the giant DCEU Warner Bros. tentpole movie, Aquaman – it seems that everything he touches turns to epic box office receipts. Having helped create the lucrative Saw franchise, the Insidious franchise, and even having a hand in the Fast & Furious franchise, James Wan then created The Conjuring, which has not only spawned a sequel, but has also launched its own range of spinoff movies, too. 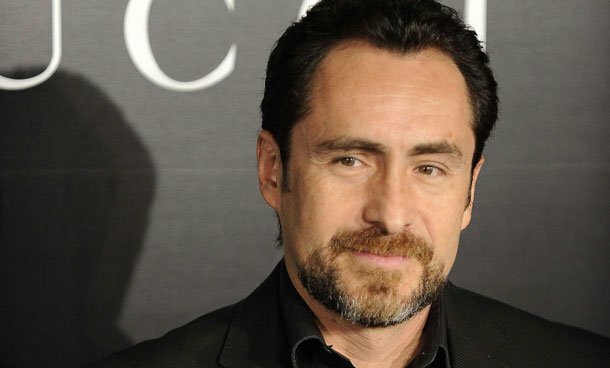 The third of those spinoffs is the subject of today’s news, with the announcement of the casting of Demian Bichir in The Nun. The titular nun appeared as a last minute addition to the range of scares in 2016’s The Conjuring 2, but proved to be one of the more popular moments in the film. Just as the previous instalment provided the basis for the spinoff Annabelle in 2014, and indeed Annabelle: Creation (which is set for release on August 11th), so the second movie of the series has sown the seeds for this new tale of religious mystery and murder. The film will be the second feature length theatrical film to be directed by Corin Hardy, and will boast a script written by James Wan and Gary Dauberman. Dauberman is the screenwriter behind both Annabelle and Annabelle: Creation, and also wrote the screenplay for the upcoming remake of It. Academy Award nominee Demian Bichir (A Better Life, The Hateful Eight) will play the role of Father Burke, who’s sent from Rome to investigate the unexplained, suspicious death of a nun. Principal photography is expected to take place in Romania over the summer months, and a release date has been set for July 13th, 2018. With this flexible and adaptable approach to his creations, it seems that James Wan could well have a growing, sprawling universe of inter-connected horror movies on his talented hands – by selecting specific threads from his core films and spinning them out into their own series. Whether anything more becomes of The Nun itself will remain to be seen, but if past performance is any indication, there could well be a sequel following hot on its demonic heels.